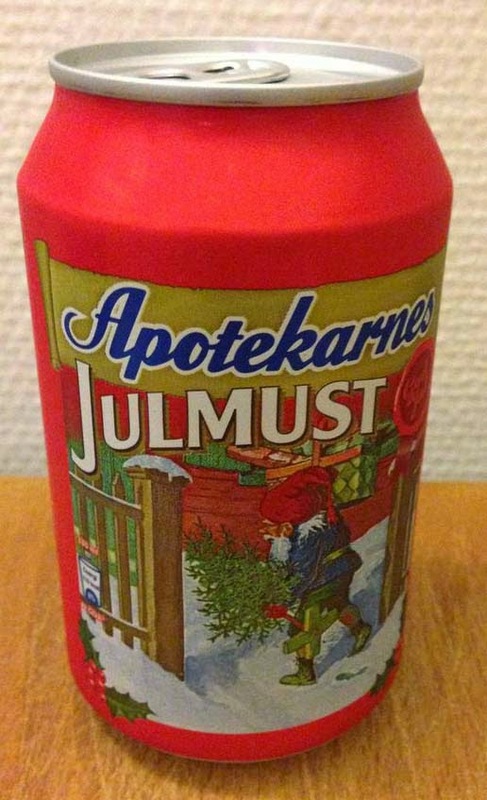 Apotekarnes Julmust is the most classic brand of Swedish Christmas soda sold during the holidays in Sweden. Julmust (Christmas sap is the best translation) outsells Coca Cola every year and Swedes binge drinks approximately 45 million litres of julmust (!) during the Holiday season. The julmust has a gentle, foamy head and a deep malty flavour. It contains both hop and malt extract but doesn't taste anything like beer. 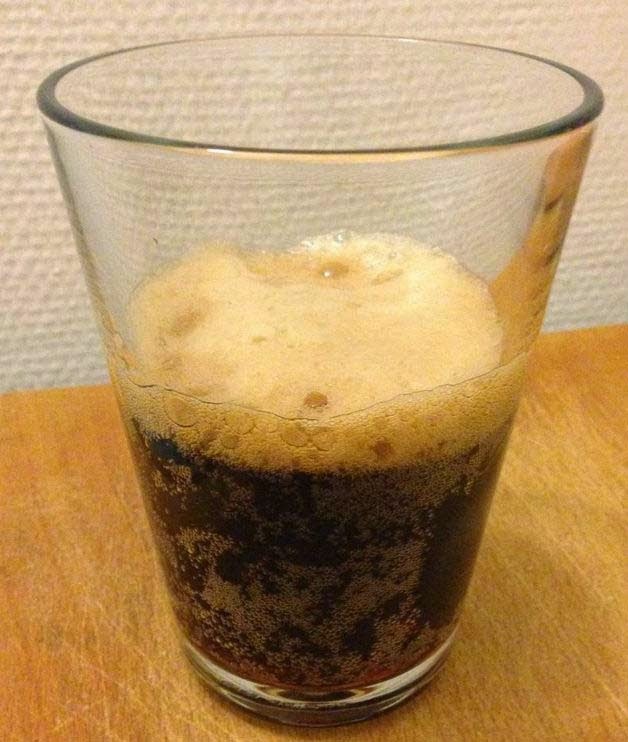 The flavour has a certain richness and depth, uncommon for a soda, and even if it's sweet I think the maltiness takes the top of the sweetness. It's a very unique taste actually and it's totally wrong when Wikipedia compares it to root beer. The tastes have nothing in common except for maybe the maltiness which are even more distinct in julmust than root beer. There are many julmust brands but Apotekarnes is the largest. It comes in different sizes like 33 cl cans, 50 cl glas bottles and 140 cl plastic bottles etc and the smaller ones obviously maintains the flavours best. A brand called Zeunerts, made in northern Sweden, is my favourite (may review it later) but Apotekarnes is always great and a classic which all other julmust brands are compared to.